It’s long past time to move on to other topics, but a few words first. After a few days I’m pretty much at peace with what happened. Seeing the real and heartfelt joy that it brought to the people of Cleveland — who I actually have nothing against — helped. 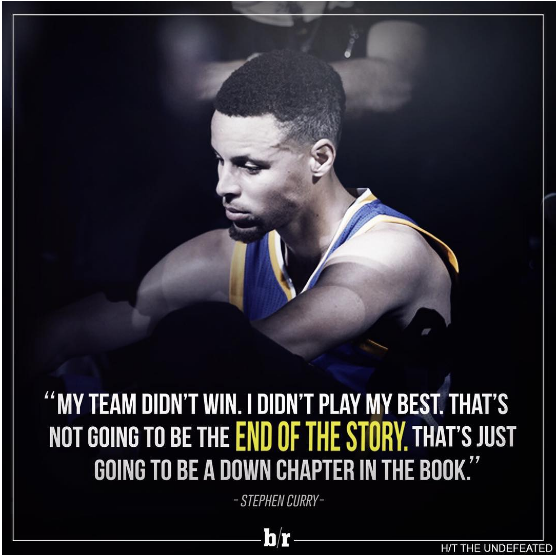 It feels like we of the Dub Nation may have started to get a bit greedy, expecting our team to win everything all the time; a little lesson in humility is not a bad thing for anybody. I’ve also started to look at this in a bit of a larger perspective…like, wouldn’t it be great if the Warriors and Cavs played in the Finals seven straight years, like a playoff series stretched out over most of a decade? That would make the series tied at one, with the Cavs having stolen home-court advantage…just like they did last season, and we know how that turned out. Can LeBron play five more years? Sure, he’s only 31; by 36 he will have a shitload of miles on the odometer but who knows what players Cleveland may have picked up by then? In five years Steph Curry will be 33, Klay Thompson and Draymond Green 31. There is a lot of great basketball in our future, I think. I trust the Warriors’ management to do what’s necessary to tweak the team for next year; that may or may not involve a player whose name rhymes with “Bevin Zurant.” The futures of players like Harrison Barnes, Festus Ezeli, and Mo Buckets Speights remain up in the air. I’d say it’s unlikely that the Warriors pick up anything useful with the 30th pick in the draft, except that Draymond Green was picked 35th. So you never know. The draft starts in a few minutes, and that seems like as good a place as any to leave off for now.